Think before you eat and help save our environment! This is the theme put forward by UN this year for World Environment Day, which falls on June 5, 2013. When I saw this, I was reminded of an incident long ago, our son, who was and is a food lover, was found gorging on cheese slices (a novelty which was introduced by Amul at that time). He could down a few of them without a thought. We told him, “You should think of how this will impact your health, before you eat so much of this”; the 12 year old famously responded, “You think, I eat”. Our son who said that years back, today does think about his food; about its health impacts and maybe also its environmental impacts but not as much as we, his parents, do. 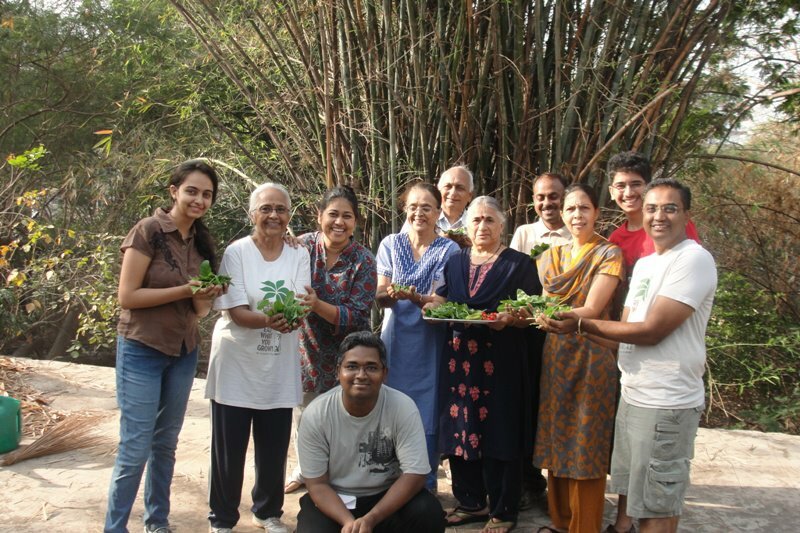 We have become, since the last decade, very conscious about our food (adverse health impacts, low nutritional content, lack of taste)and its food print (toxin load, food miles, food wastage, fair prices for farmers, loss of agro-biodiversity due to narrow choice of foods, corporate control) on the environment and society. Therefore we decided a few years back to opt for organic (certified and non-certified), local and seasonal. We have managed fairly well. While evangelising about this, we encounter objections about price, availability and opinions about it being a fad. To that our response is let us pause a moment and think about how much we are willing to do for our children, their health, their careers, their future, why is it that their fundamental need for healthy, toxin free food is neglected? Why can’t we invest some time and money in it? Yes, it is an investment, not an expense. In addition, through this process of eating local, seasonal, organic (natural), the environment benefits, and that will be our biggest contribution to our children’s future- much more than the education, opportunities and wealth that we will give them. We have personally only succeeded in buying local; the next move for us is to grow our food. Growing food is one of the simplest and most effective ways of reducing our foodprint on the planet. 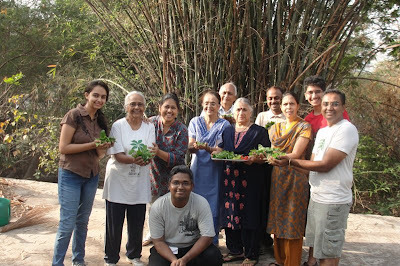 Urban Leaves, through its community gardens, is providing that precious skill; empowering us to grow our food naturally. It is also one of the ways to combat toxins and pesticides in food. Another important facet of this is to reduce food wastage in our homes. At this juncture I can’t but bring up the issue of genetically modified (GM) foods, which is the other serious threat to our food safety and sovereignty. Even though no GM food crops have been approved in India, many of the refined oils that we consume today contain cotton seed oil (and cotton seed oil is also sold directly); almost 95% of cotton in India is Bt cotton. It would be terrible if we jump from the cauldron of pesticides into the fire of GMOs! Our governments (state and centre) and politicians need to hear from us loud and clear that we do not need GM foods and we do not want this BRAI bill! We also want a ban on toxins in our food. Let us act at a personal and collective level to bring about this change- by eating right, reducing food waste, growing food and speaking up. So on this World Environment Day, let us Think, Eat, Save and Act to protect our food and seed sovereignty, and environment.